Friday, which today is the 13th, and since it's words day, I suppose I should mention triskaidekaphobia. There, I mentioned it. 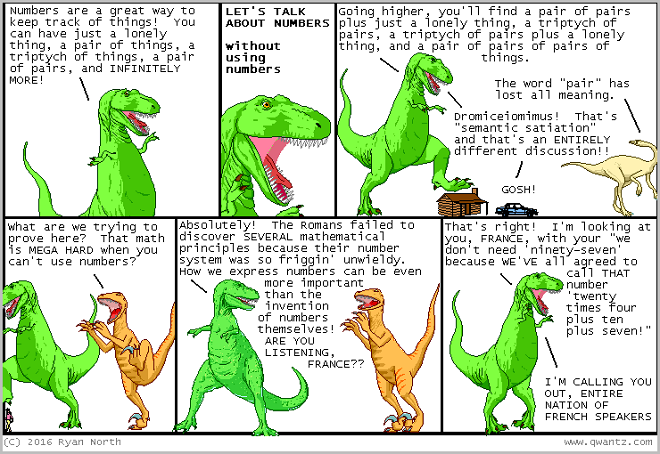 Pro tip: never pass up an opportunity to include Dinosaur Comics in anything you're writing. Etymological musings this week are about the legume variously known as the chickpea, ceci bean, and garbanzo bean. Why so many names? Are they related? As another aside, the evolution of chich to chick here seems like it might be an example of folk etymology—the transformation of a word from word-parts that are obscure or foreign into more familiar ones. 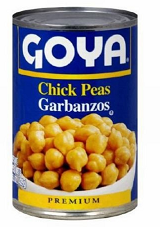 Garbanzo comes to us from Spanish and is not related to cicer. One theory in the OED is it comes from Basque garau "seed" + antzu "dry." That would be, I think, a pretty rare case of Basque showing up in English, yes?